A new NBA season is underway and the Brooklyn Nets have higher expectations for this season. 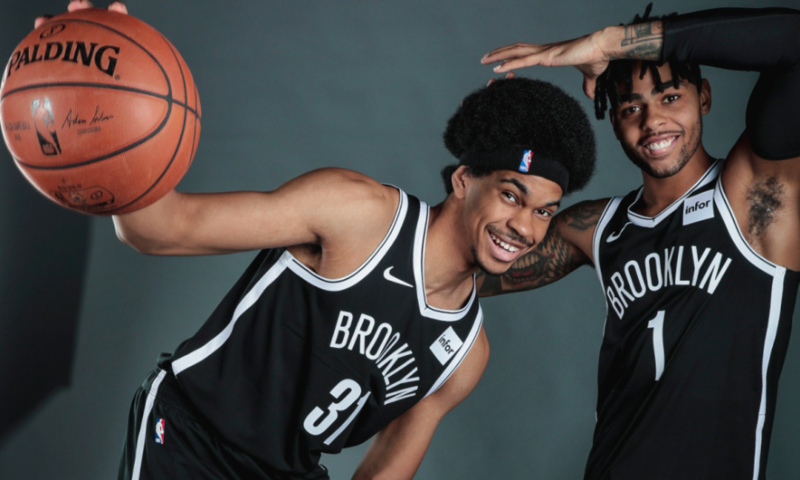 The Nets have brought back the same young core of D’Angelo Russell, Jarrett Allen, Caris LeVert, along with looming free agents Rondae Hollis-Jefferson and Spencer Dinwiddie with high hopes and big expectations for each one of these players to take big step forward. This season is an important one for Brooklyn in their rebuilding process as they are eager to know which of these players they will be moving forward with. D’Angelo Russell had a very average season last year–averaging 15.5 points and 5.4 assists per game while shooting 41 percent from the floor. Russell is an unrestricted free agent this offseason and is yet to prove he can be the elite scorer many thought he would be coming out of college. With that being said, there is a lot riding on this season for Russell. Aside from health, there is no reason Russell shouldn’t hover around the 20-point-per-game mark this season. Jarrett Allen had a solid rookie season with the Nets after being selected as the 22nd overall pick out of the University of Texas at Austin in the 2017 NBA draft. Allen had a ton of potential while exceeding all expectations early on last year, earned himself the starting center role with the ball club. Given the increased playing time and role Allen is expected to have this season, his scoring average should jump from 8.2 points per game to about 15 points per game. Rebounding was an issue for Allen last season, hauling in just 5.4 rebounds per game, but given his 6’10” frame, Brooklyn should be the beneficiary of an increase in this statistical category. The undoubted strength of Allen’s game is his rim protection. Although he is actually one of the more vertically challenged centers in the league, his wingspan and athleticism help tremendously allowing him to be mobile and block shots frequently. Expect both his rebounding and block averages to double from last season. The final part of Allen’s game to look out for is his corner three’s. Every big man in the league is now shooting threes and Allen himself has emphasized that he worked on improving this element of his game during the offseason. Expect the number of three-point attempts as well as makes to increase drastically this season. The Nets decided to pick up Caris LeVert’s team option in the weeks leading up to the season. LeVert was an extremely efficient scorer during his collegiate career at the University of Michigan and showed glimpses of being a great passer. Despite this, LeVert fell in the draft to number 20 where the Nets traded for him. In his first two seasons, LeVert showed that he can be efficient scorer and if he continues to develop as a scorer at his current pace, he should average 16 points per game along with five assists this season. The Nets made it clear that they wanted to bring back the same group of guys they had last year, which was feasible given the team-friendly contracts that the majority of the roster are currently playing under. Brooklyn even managed to retain three-point marksman Joe Harris even as he was free to go where ever he pleased this past summer. With all of that in mind, the Nets are not looking to compete for a playoff spot. The goal of this team is to bring out the best in each player and make a decision on who to move forward with next season. Brooklyn is overloaded with guards who are all 27 years-old or younger. The club wants to have a clear-cut idea of who they will be looking to retain as well as who will be brought along throughout this rebuilding process. Brooklyn won 28 games last season and, like every team in the league, their biggest goal is to win more games than last season to show improvement was made. Expect the Nets to win 32 games this season.